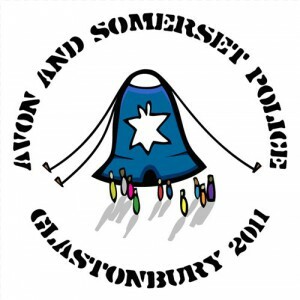 As the clock counts down to this year’s Glastonbury Festival, Avon and Somerset Police are offering festival-goers crime prevention and personal safety advice. Glastonbury Festival, one of Europe’s largest music and arts festivals, takes place between June 22 and June 26, 2011. 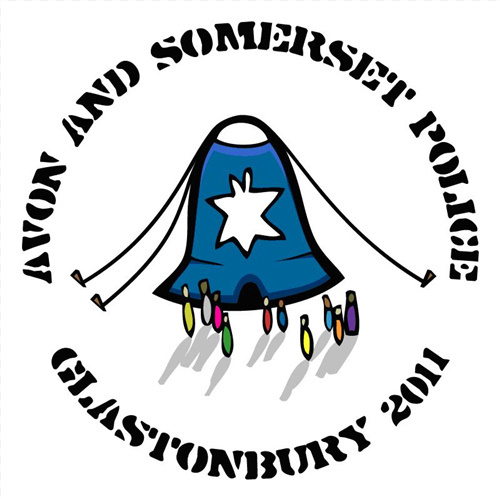 With more than 175,000 people heading to Worthy Farm in rural Somerset, the policing operation to help people stay safe at the festival is the largest in Avon and Somerset Police’s calendar. Glastonbury is less than a month away now and I know the excitement is building for everyone lucky enough to get a ticket. People have paid a lot of money to come and we do not want anyone to have their experience ruined by becoming a victim of crime. There are some easy things people can do which will help them have a great festival. The safety tips are quick and inexpensive but can make a real difference. The key thing to remember is to bring with you only what you need and keep anything valuable in the free property lock-ups on the site. Plan your journey carefully. Check your vehicle is roadworthy, take plenty of food and water with you and be prepared for queues near the site. Bring only what you need. Anything you do need should be registered on for free on Immobilise (www.immobilise.com) before you set off and either kept with you or, even better, left in the free property lock-ups. If you need to bring a phone, find an old handset and bring that instead. Immobilise’s Police search portal, the NMPR, continues to help the joint MPS/TfL London Cycle Task Force in identifying and returning stolen bikes and property to their rightful owners. As reported by BikeBiz, PCSOs Jaime Page, Matthew Sait and Derek Fletcher from the MPS/TfL (Metropolitan Police Service/Transport for London) run Cycle Task Force reunited a stolen bike with its owner this month. While on patrol in Islington on May 3rd 2011, they noticed an unsecure and unattended silver bike upturned outside a sports shop in Chapel Market, London. instantley searchable via the Police NMPR, mean that the police can on occasion return your property before you even realise or report it stolen! The Immobilise National Property Register is Website of the day on Pocket-lint, the UK’s largest independent gadget news and reviews site. The article by Ian Hugh’s writing for Pocket-lint follows and further emphasises the advantages of using the Immobilise service. Stuff. We love it, you love it. In fact, we just can’t get enough of it. Pocket-Lint probably wouldn’t even exist if it wasn’t for our love of stuff, so when some thieving little scrote decides to shimmy up your drainpipe and help himself to some of your stuff, it’s a bit of a kick in the teeth. There are a few things you can do to protect your prized possessions: burglar alarms, decent locks, a starved Rottweiler chained to your 50-inch plasma. But one of the simplest things you can do is to make your stuff less desirable. We’re not talking about gouging a four-inch scratch across your iPad screen either. What we mean is by registering all your gadgets and gizmos at immobilise, you stand half a chance of getting your stuff back if it does get lifted. More importantly, put a sticker in your window and the shifty little toe-rags will probably give your place a miss anyway – if they get caught with stuff registered on this site, they’re almost certainly looking forward to a long holiday in a very small room with a large sweaty man called Bubba. Get registered and get your stuff protected at www.immobilise.com. You know it makes sense. The Morpeth Herald has reported that Northumberland Police are urging cyclists to stop thieves having an easy ride when it comes to stealing bikes. The warning comes after a recent increase in the number of bikes being targeted by thieves in the area. Figures show that since January 1 this year there have been 69 pedal cycles stolen in the county – 56 of them were left unattended and insecure. Always lock your bike when you leave it – even if it is only for a minute. Store it in a shed or garage where possible and always use a quality padlock or chain to secure your bike. 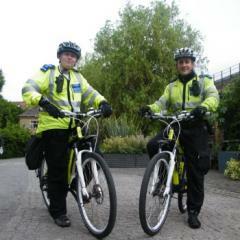 Cyclists can register their bikes at www.immobilise.com which is a property register scheme supported by Northumbria Police. They should also consider getting their bike security marked so if it is stolen and recovered it can be returned. We run a number of free bike marking events in the county so check the police website (www.northumbria.police.uk) for details of one in your area. And finally, record the serial number of the bike and photograph it. If it is stolen this could really help officers track it down and return it.